Recently, a very interesting report / leaked surfaced on the internet. Youtube channel Gamer Meld recently posted a video showing an email containing information as to when the next generation graphics cards would be released. As expected, NVIDIA AIBs (and probably NVIDIA) as well is having overstock problems; most probably due to the decline in crypto mining and most gamers are anticipating the release of the 11 series GPUs. According to the leaked email, the upcoming NVIDIA GeForce GTX 11080 will be released by end of August, followed by the GeForce GTX 1170 and a certain GTX 1080+ by end of September and finally the GTX 1160 at the end of October. What the heck is a GTX 1180+? We don’t expect the GTX 11080 Ti to surface this year, most probably it would be released after or at the same time the 1150 (Ti) is released. More details including the video below. NVIDIA GeForce GTX 1180, 1170 and 1160 Released Dates Leaked! Aside from the release dates being revealed, the report also mentioned that there will be a press conference call on August 21st. NVIDIA usually does this when new GPUs are introduced. Curiously, it mentions a certain GTX 1180+, probably a GPU for AIB partners offering slightly faster speeds compared to the vanilla 1180; like an “ultra-overclocked super plus plus XZY edition”, who knows. No one can validate the validity of this email. Many sites have already published this report, but only Gamer Meld is the sole source of this “leaked” email as far as we know. Below is his video regarding the leaked NVIDIA GeForce GTX 1180, 1170 and 1160. 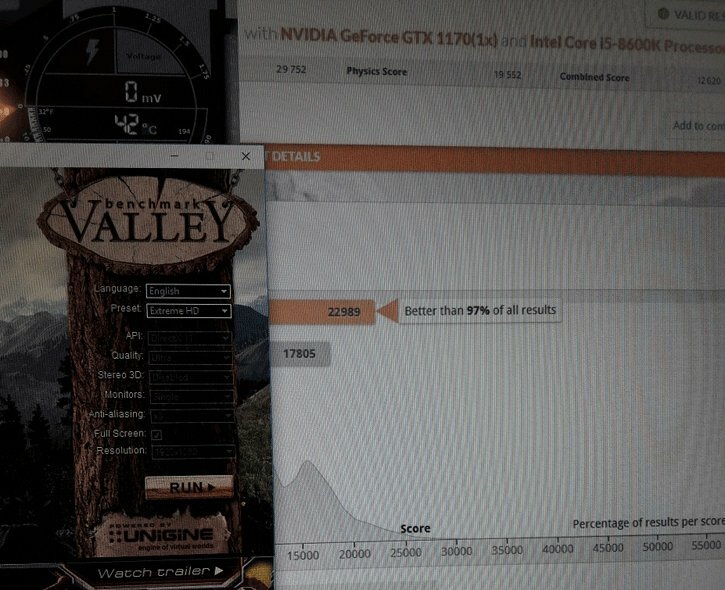 Meanwhile, an alleged performance benchmark of the GeForce GTX 1170 surface as well. The GTX 1170 is said to have 16GB of memory and clock speeds of up to 2.5GHz. It’s going to be (slightly) faster than the GTX 1080 Ti; but if this leaked is true I’m not really surprised at all. 2.5GHz isn’t impossible, in fact it’s very much achievable. We have seen the current GTX 10 series GPUs already hitting around 2GHz to 2.2GHz boost. And based on history, the GTX 1070 is faster than the previous generation GTX 980 Ti. So I was expecting that the next generation GTX 1170 would be somewhat on par or faster than the current GTX 1080 Ti.